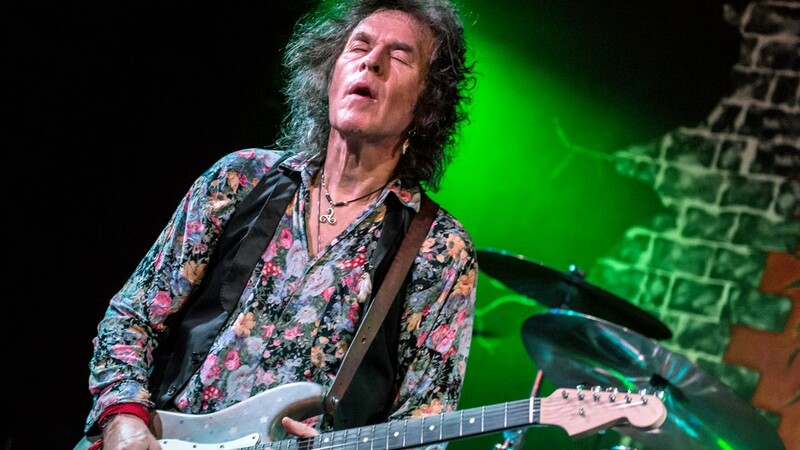 Guitar legend, blues rock psychedelic shredmeister, glam punk sleaze rock frontman: Bernie Tormé has enjoyed a long and remarkable career. Hit records, world tours and international acclaim came as lead guitarist in Gillan, ex Deep Purple vocalist Ian Gillan's solo project. Bernie stepped in for Ozzy Osbourne in the aftermath of guitar legend Randy Rhoads' tragic death before going on to front Electric Gypsies andTormé. Teaming up with Twisted Sister's Dee Snider and Iron Maiden's drummer Clive Burr he formed Desperado and later reunited with ex-Gillan colleague, John McCoy and drummer Robin Guy in Guy McCoy Tormé (GMT). More recently, Bernie Tormé has released three critically-acclaimed solo albums,'Flowers & Dirt' (2014), 'Blackheart' (2015) & the triple album ‘Dublin Cowboy’ (2017). All were crowdfunded, connecting Bernie directly with his fans. We are really excited for Bernie's Winterstorm debut.